The .dk country-code top-level domain name (ccTLD) is an extension that represents Denmark. The process to activate your .DK domain is easy. The listed registrant should have received an email from info@dk-hostmaster.dk shortly after you purchased your domain. There's an attachment to this email that contains your user ID and password to your registry account, as well as steps to activate your domain. If you are unable to locate this email, please contact info@dk-hostmaster.dk to request your login information. Please follow the steps and activate your domain as soon as possible. Failure to do so within 4 days of purchasing the domain will result in your domain name being deleted without refund. Note: You should not update the Billing contact information as this will transfer the domain name to the Registry and you won't be able to manage it through your GoDaddy account. 1API GmbH (aka Hexonet) is the partner we use in order to offer .DK domains. If you have accidentally transferred the domain away, please contact our customer support for further assistance. Anyone can register a .dk domain. If the registrant or admin contact is an organization/company located in Europe, they have to submit a VAT-ID. If the registrant or admin contact is a natural person, no matter where they live, or is an organization/company outside of Europe, they do not need to submit a VAT-ID. Renewals are allowed anytime between 61 days prior to expiration and 3 days prior to expiration. Renewals for .dk domains can take up to 72 hours before they appear back in the account after expiring. Transfers-away for .dk domains are initiated by the gaining registrar. An authorization code is not required. 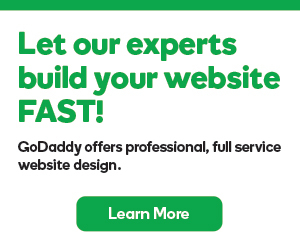 You may need to follow further instructions from Transfer my domain away from GoDaddy. You can only update the Technical and Billing contact information for .dk domain names through GoDaddy. However, you can update the Registrant and Administrative contacts through the registry itself. Nameservers can only be used if they're registered at HostmasterDK and the domain is correctly activated by the domain owner. To update your nameservers, you must contact the .dk registry and give them the URL, your phone number and email address. You'll then receive an email from the registry prompting you to go to the site to acknowledge your nameserver change. You can also make the request through the registry.